October 29 (RIA Novosti) - The lower house of the Czech parliament began on Wednesday discussions on the ratification of a Czech-U.S. missile defense treaty and status of foreign forces agreement. The MPs are to decide whether to turn down the deal or continue the debate in issue-specific committees. If the discussion goes ahead, the treaties could be ratified in 2009. The parliamentary opposition has so far failed to prevent discussion of the issue. The agreement to station a U.S. radar in the Czech Republic was signed on July 8 by U.S. Secretary of State Condoleezza Rice and Czech Foreign Minister Karel Schwarzenberg. On September 19, Defense Minister Vlasta Parkanova and U.S. Defense Secretary Robert Gates signed the Status of Forces Agreement (SOFA). The pact governs the deployment of U.S. military personnel at the radar station. A Czech MP previously said the ratification process would be "hard going," and the outcome was impossible to predict. Miloslav Vlcek said the missile defense agreement could be "passed by a margin of one or two votes, if at all," adding that "two-thirds of the country's citizens object to the placement of a U.S. radar station on its soil." The radar is part of a planned missile shield system that would also include the deployment of 10 interceptor missiles in Poland. The U.S. says it needs the Central European shield to protect against attacks by "rogue states" such as Iran. 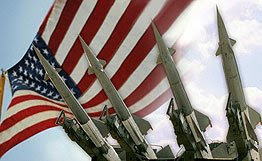 Gen. Henry Obering, director of the Missile Defense Agency, said earlier on Wednesday that the United States expects its missile-defense base in Poland to become fully operational in late 2011 or early 2012. He added that Washington is ready to sink about $400 million into the base. The plans are fiercely opposed by Russia, which sees the missile shield as a threat to its national security and the international system of nuclear deterrence. Russian President Dmitry Medvedev has vowed to "respond appropriately" to the deployment of the missile shield.